At Chelwood Dental all new patients will have a thorough dental examination. At the visit we will find out what problems you may be having and explore what solutions you are looking for. We also want to understand if you have any anxieties about dental treatment and will work with you to overcome those anxieties. We will take a full medical history. This is very important because some tablets and medicines that you take may have an influence on your dental treatment. We will ask about your smoking and alcohol consumption and will always check your mouth for signs of mouth cancer. We will examine your teeth and chart our findings. We will make a note of decayed, missing and filled teeth. 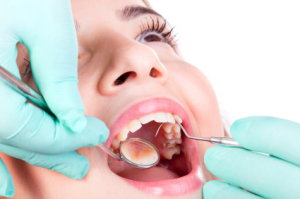 We will examine your gums for signs of periodontal (gum) disease and we will take necessary x rays to help us reach a diagnosis and formulate a treatment plan. When we find problems we will talk to you about the diagnosis and discuss in detail what treatment options are available to you both through the NHS and privately. We will discuss the costs involved and when required give you a written estimate and treatment plan. Your first examination will take anything between 15 and 30 minutes. Once your treatment is complete your dentist will set a recall interval for you to come again for your next examination. To book your dental check-up please call us on 0151 722 6500.